Might we suggest playing this in the background as you read this review? We feel it really enhances the vibe. ABOUT VINTELOPER: Started by a husband and wife team in Australia's Adelaide Hills in 2008, Vinteloper is a small operation that sources top quality grapes, plays by their own rules, and seems to be having a helluva lot of fun doing this whole wine thing. 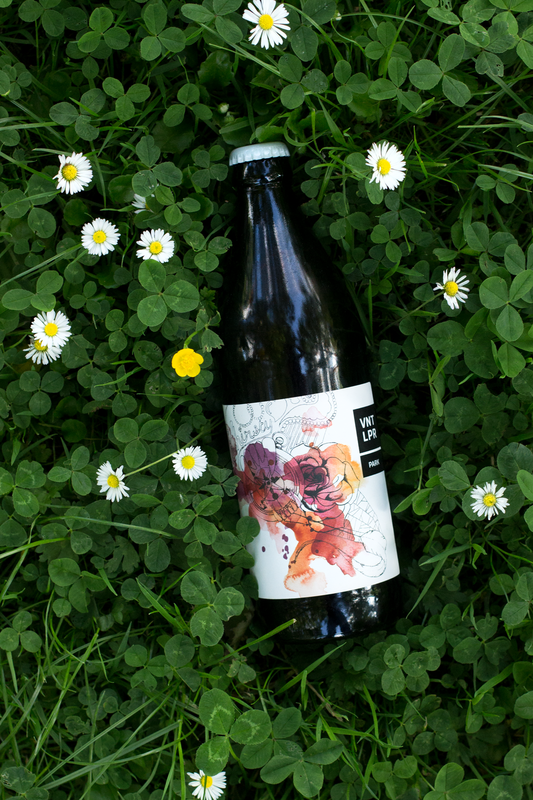 David Bowley is one of the most exciting young winemakers in Australia and his wife, Sharon Hong, is the talented artist behind their oh-so-pretty eye-catching labels. They produce a range of exciting lines alongside these quirky Park Wines, which are designed to break the rules of wine drinking without skimping on the quality. ABOUT THIS WINE: Dolcetto is a grape varietal that originally hails from the Northern region of Italy and means ‘little sweet one’. However, Australia can lay claim to having some of the oldest vines still producing wine, some of which date back to the 1860s! This wine has been wild-fermented and aged in oak barrels for 6 months prior to bottling to give it extra complexity. It’s also unfiltered, so don’t panic if you find a little sediment in the bottle! BEHIND THE BOTTLE: Us BBs like to think we’re very sophisticated the majority of the time, so we drank our Park Wine out of Kate’s cutesy Spanish tumblers. But with its quirky crown cap and 50cl size, you could swig this straight from its ultra cool artsy bottle without getting too many strange looks in your nearby park. Try it and let us know how it goes! CARO: Okay, first, this bottle is the coolest kid you’ve seen on the block lately. If it was having some summer fun times in the park, it would definitely be in the skate park - that’s how rad it is! And whilst rocking the Tony Hawks vibe doesn’t automatically make you a great skater, this little dude has got the personality to prove that what’s inside is just as captivating - a slight fruitiness with some peppery notes, and an undeniable complexity that remains very approachable and easy-going, with the added bonus of a mesmerising hue. I feel like I’m reliving my high-school crush all over again, and I’m loving it! ANGELA: Yes yes yes, This looks great, appeals to our ‘keeping the cheers real’ motto, and ultimately is delicious! I’m a fan of Dolcetto, with its trademark character of violets, prunes and red fruit; this wine has them in abundance and it's vibrant, smooth and refreshingly lingering. You could even chill this down to bring out the fruit a little more. It’s on the more expensive side of wines I’d take to a picnic or BBQ, but at 50cl I would treat myself to one of these and drink the lot all to myself, alongside some smoky meats and feel-good tunes. KATE: As a wee American child, I grew up in a state with pretty strict open-container laws, so the idea of drinking wine out in the open– in the middle of a park, no less– is still pretty novel, even after six years. (Shoutout to The Land Of The Free!!) That said, I thoroughly enjoyed consuming this adorable bottle of wine in the open air as friendly pups came 'round for casual cuddles, and "tweenagers" who were much! too! young! to be smoking were practicing their best swears just a few benches down from us. 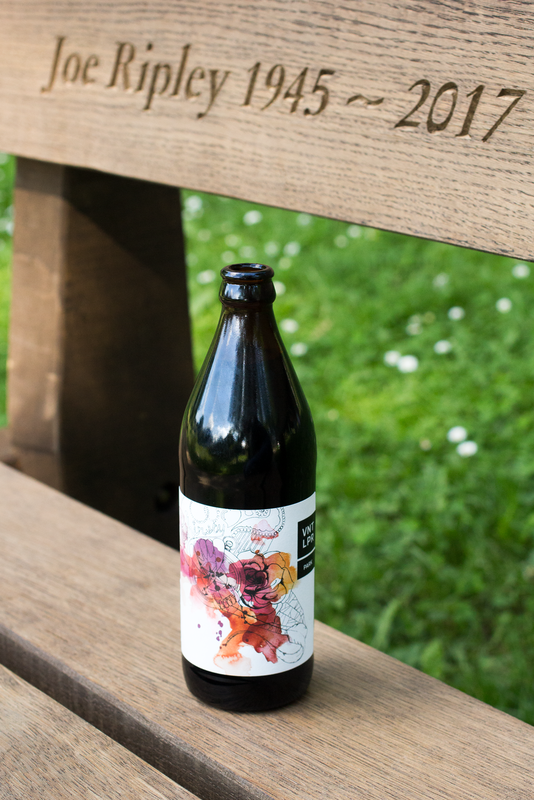 Once I finished ogling the bottle, I found that the wine tasted of spiced berries and had a warming cinnamon note, which in turn made me feel warm and happy on our little patch of grass. In fact, it was such a joyful drinking experience that, once the wine moved past my tongue, I immediately felt less hostile toward the party of 5 year-olds screaming over kids-pop versions of top-40 radio at the park's pavilion. It was almost as if joy flowed out of me like wine from a tapped barrel, and the more I drank, the more I loved our little park life. And look, I know this isn't a real thing, but I almost feel as if drinking this wine momentarily made me a chiller and better person. This wine is my therapist now. Park Wine for life! WOULD WE HAVE ANOTHER GLASS? We'll take a bottle each and met you in the park. We would like to give a shoutout to Joe Ripley. We didn't know you but we hope you had a good life. We would also like to thank your loved ones for donating such a fine bench to the park and, without realising it, to our photo shoot. We are very grateful.